Grad transfer tight end Eli Wolf will finish his college career at Georgia. KNOXVILLE, Tenn. — Tennessee tight end Eli Wolf will play the final season of his college career at Georgia. Wolf will be a graduate transfer and therefore eligible to play immediately. The Minster, Ohio native announced his decision on Twitter on Thursday. 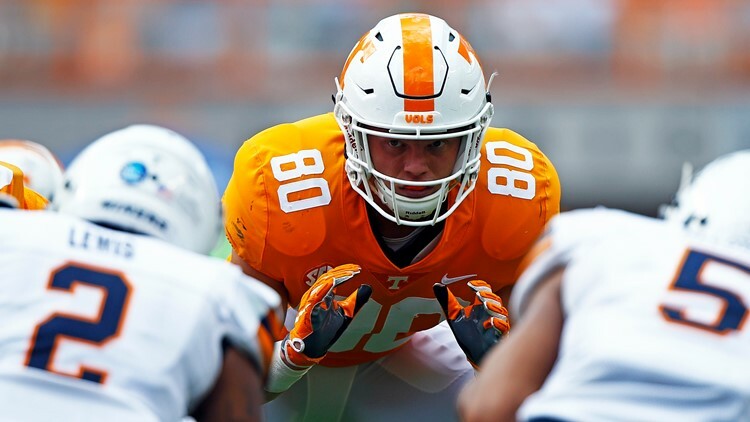 He began his Tennessee career as a walk-on but earned a scholarship during his redshirt sophomore season in fall of 2017. Wolf caught nine passes for 86 yards and a touchdown in three seasons with the Vols, plus a redshirt year. He played in all 12 games in 2018. Without Wolf, Tennessee still has six tight ends on its roster plus class of 2019 recruits Jackson Lowe and Sean Brown, who signed with the Vols in the early signing period in December.